Welcome to Maplewood Cottage. This gorgeous five bedroom, three and a half bath home is nestled on 1.5 acres in Weymouth Heights. Exquisitely remodeled and expanded in 2001, this open floor plan offers over 3000 square feet of living space all on one level. The great room, kitchen and breakfast room offer great entertaining spaces and the Carolina Room could also be a wonderful light filled office. Maintained to perfection, the house has newer heat and air units, a new roof in 2000, three fireplaces, hardwood floors and a a wonderful ''cooks'' kitchen. The outside features new fencing for your pets and a wonderful brick fire pit. The Master Bedroom is an amazing suite with it's own fireplace. 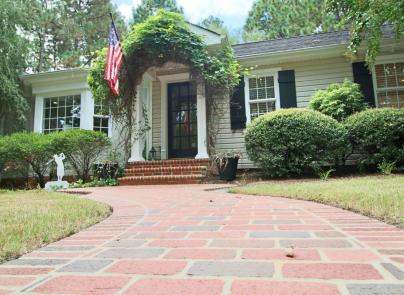 Don't miss Maplewood Cottage...a special home in a special place! Just minutes to downtown!